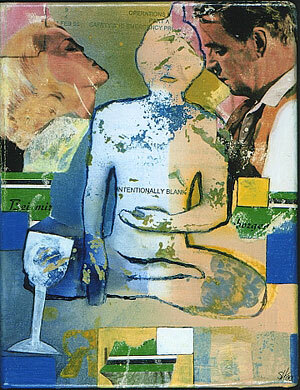 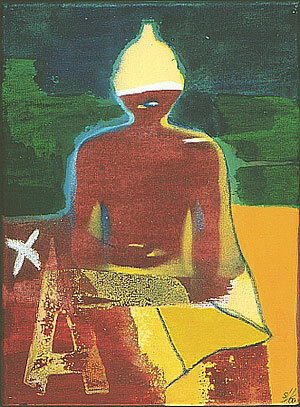 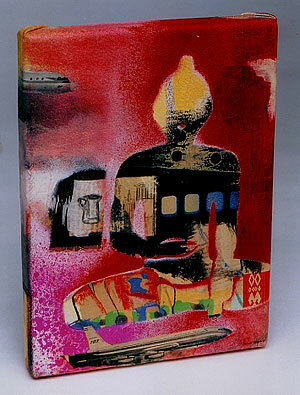 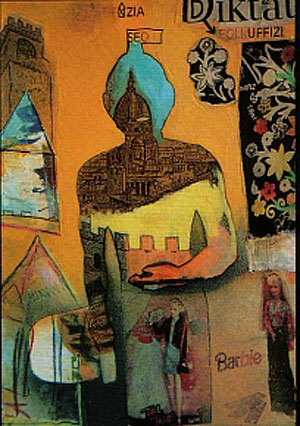 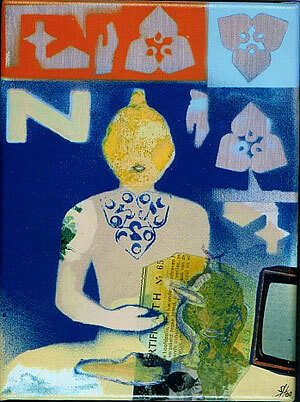 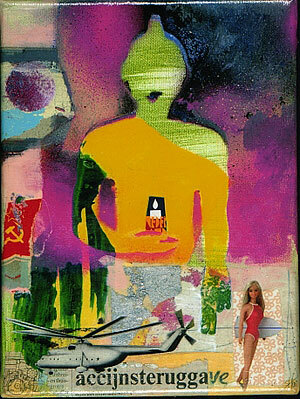 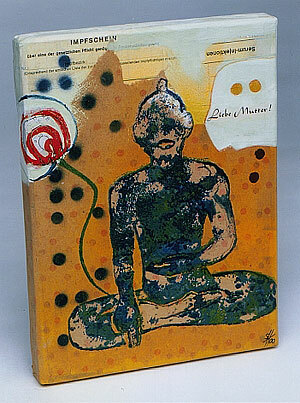 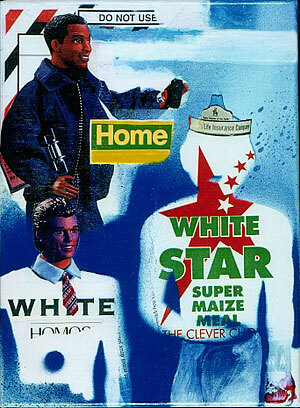 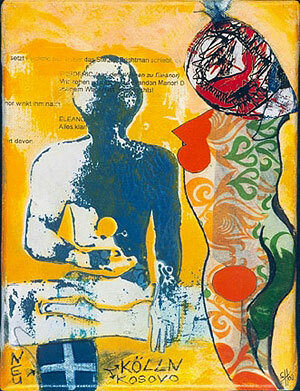 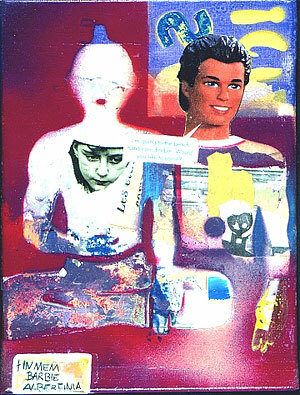 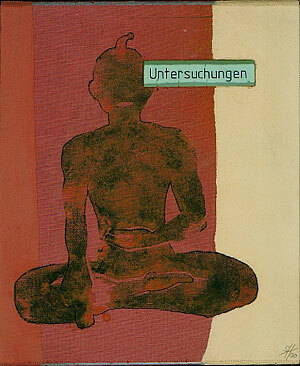 Series FREQUENT TRAVELLER, 114 parts, single size 18x24cm, mixed media on canvas, 1999-2002. 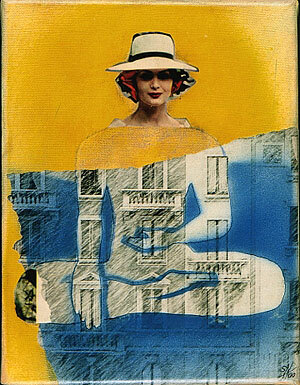 These collages represent a diary of extensive travelling throughout some years. 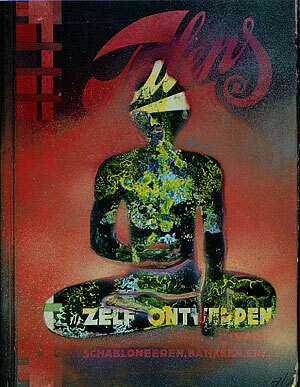 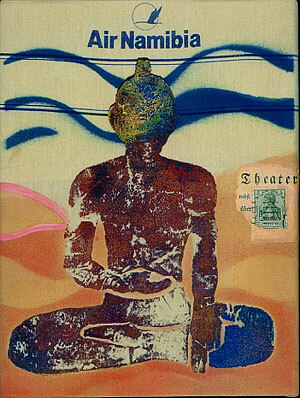 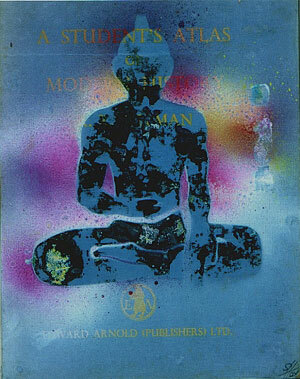 The recognizable „Buddha" in each painting serves merely as an re-occuring icon, with biographical references to ­ ME. 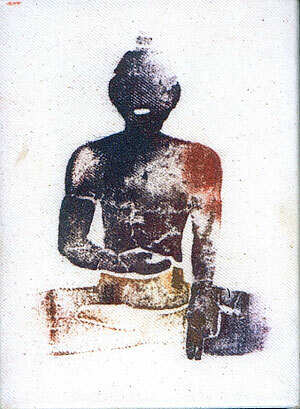 No religious statement is being made.